This treadmill is built for heavy use by high school students and adults. The 3.0 horsepower motor combined with steel reinforced running frame accommodates users up to 300lbs. 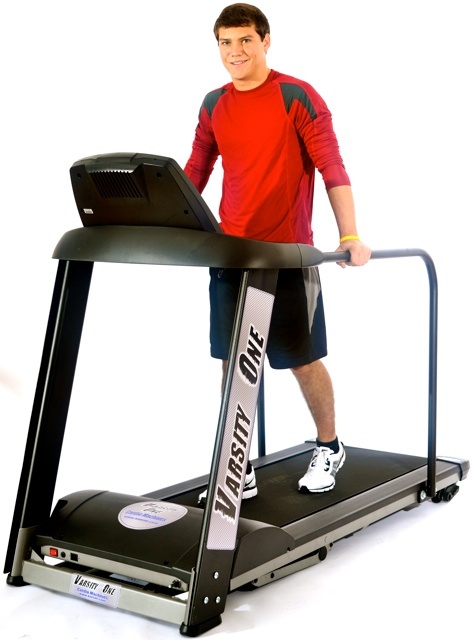 This unit comes with computer programs to help motivate users to be active and fit. Safety side handrails and a detailed computer readout are standard.